This was a stimulating, if overlong, concert of mainly new and very new music, with most of the composers present. 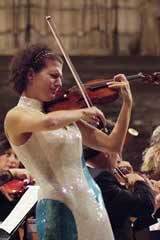 The centre, and star, was violinist Alda Dizdari, a superb champion for new music and a player of remarkable stamina. Christina Athinodorou conducted the (for me) most interesting piece, by SPNM's shortlisted composer Roberto Rusconi. His Chalong Temple is linked to his interest in the later spectralists. Of the others, most substantial and impressive were two very contrasting works for solo violin, Vanneschi's Melopea ii and Athinodorou's Aosmon. The former exploited extended techniques convincingly and the latter, a near half-hour work in a number of movements, did so too in a context which recalled the glories of nineteenth century violin playing, with gorgeous tone and avoidance of deliberate 'ugliness'; if Dizdari had been wanting to sell her fine Cerruti (Cremona) instrument, Aosmon would have demonstrated its potential to perfection. The programme, a part of Notting Hill's annual Mayfest, was thoroughly prepared and the playing of international quality, attracting a good sized new-music audience to this excellent venue. It is difficult to appraise a contemporary composer from a single work in a mixed programme *, as is the most usual introduction. 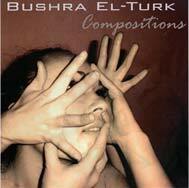 From Bushra El-Turk a wide ranging and valuable promo-CD - with a splendid cover picture ! - has been received. 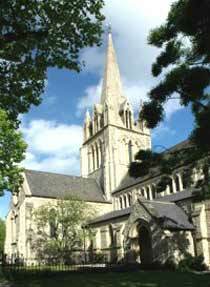 It puts into perspective her music which draws upon her Lebanese origins and influences, and includes Une Marionette Desincarnée which, in a recent concert at St John's Smith Square, prompted us to in cover this Mayfest concert. A composer to watch. Contact via Bushra's attractive website. *Nearly 3 years on, I was persuaded by Roberto Rusconi [L]** to join a smallish audience for a concert featuring three Rusconi works, plus some Bach. This proved to be deceptive, as two of them were by a different Rusconi (a distant cousin whom Roberto had met only recently, so we learnt during a lengthy introduction to the concert from the platform). The programme notes supplied (in English & French, and with a bit of German - none translations of each other...) were wilfully non-informative: - - "a secret of sound made knowable" - - "the spitit of the musician is full with manifestations of the mysterious laws" ... etc etc). Roberto's short piano quintet offered some nice, rarified sounds but defied reviewing; not enough to take me any further than his 2009 Mayfest piece. The new Amar Quartet from Zurich (who had extra seats each for playing wood-blocks in Michele Rusconi's music) impressed, as did Benjamin Engeli on a Steinway in Bach's English Suite no 3; gentle and thoughtful. I didn't stay for The Art of Fugue - how much of it was he offering? Everyone was helped by LSO St Luke's perfect acoustic for chamber music.